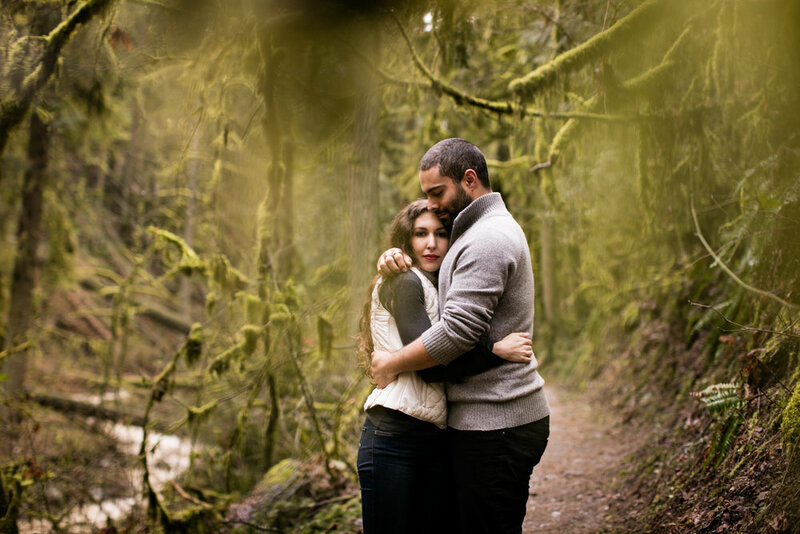 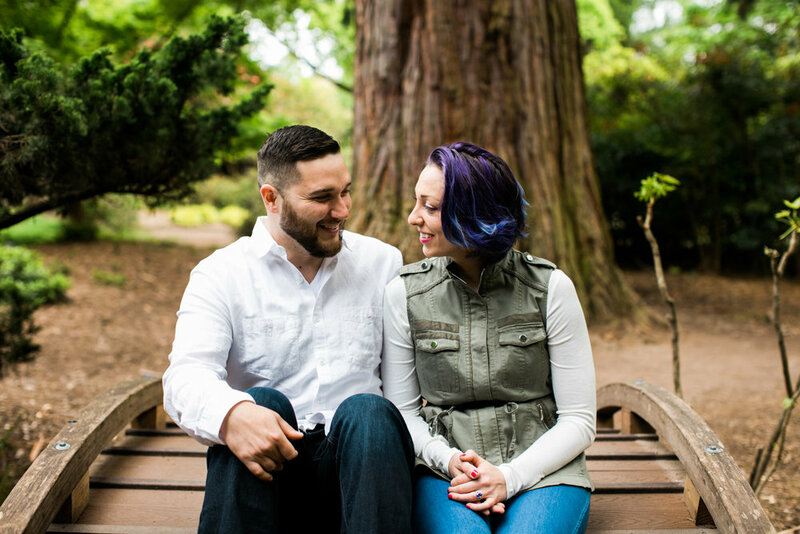 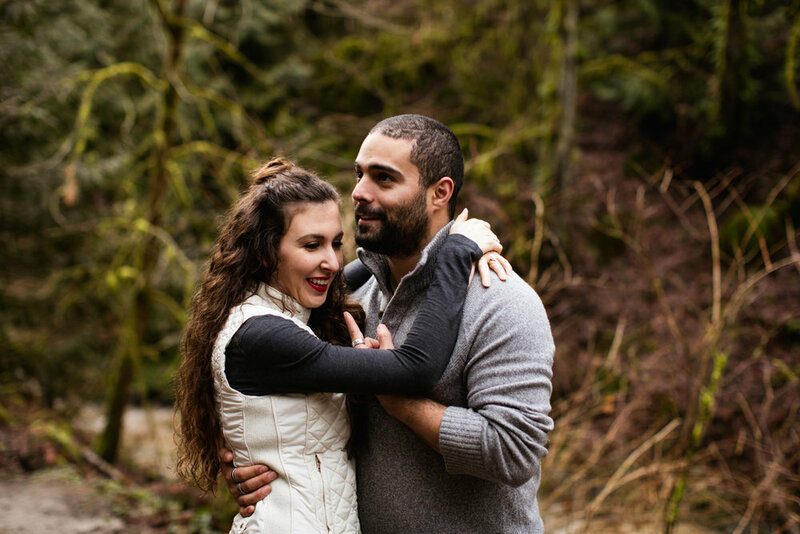 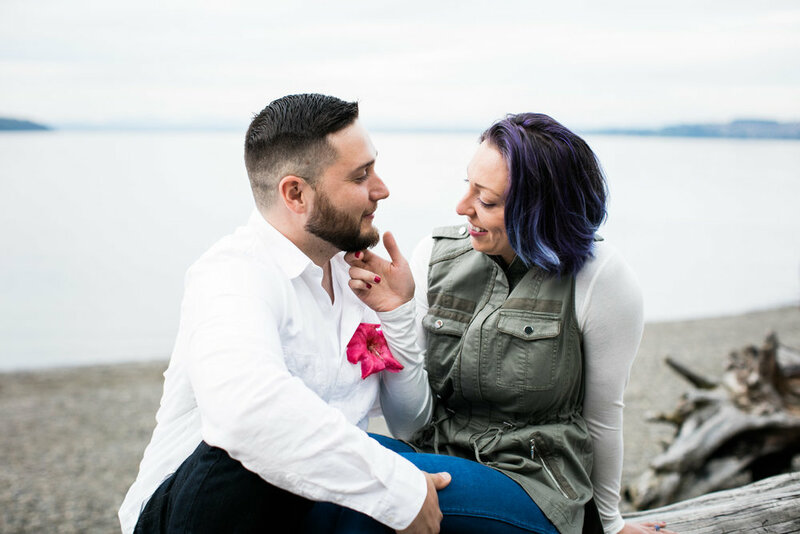 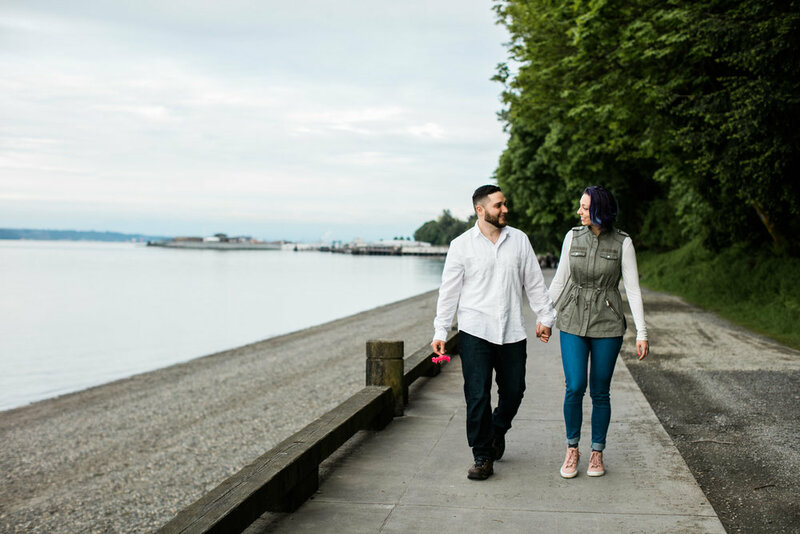 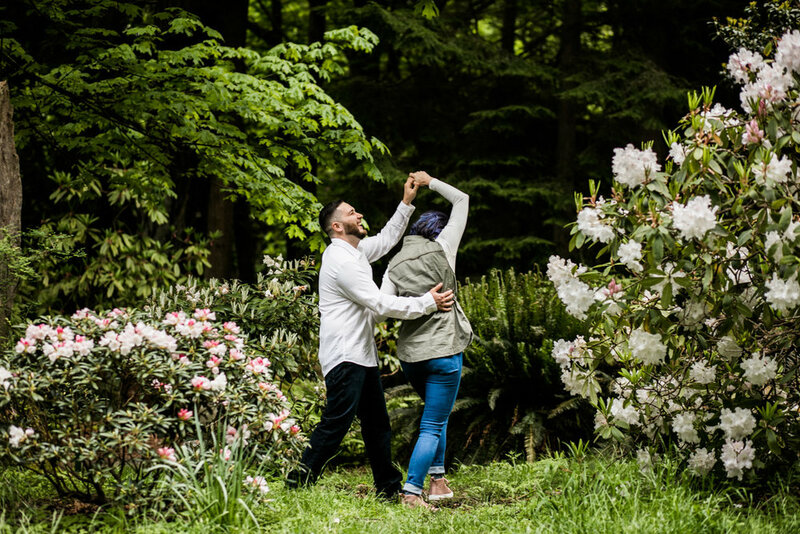 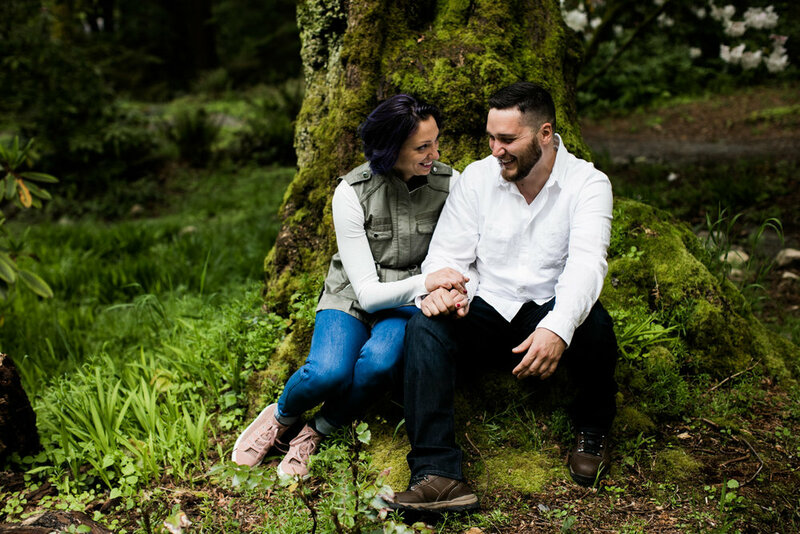 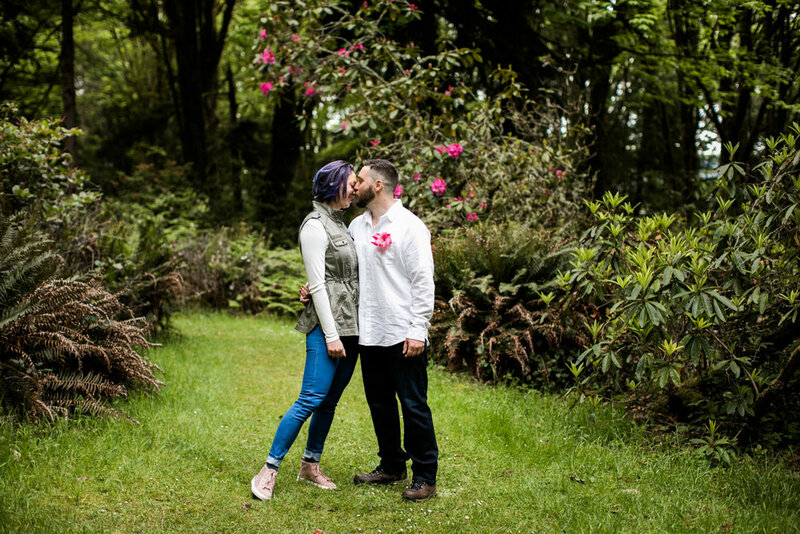 A little lovin' from Emilie and Ronald's super cute Point Defiance Park engagement session. 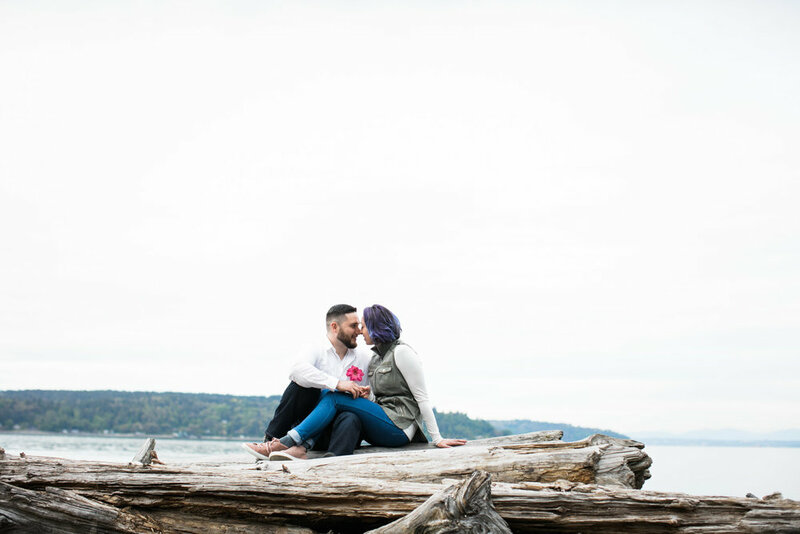 Who knew Tacoma was so pretty? 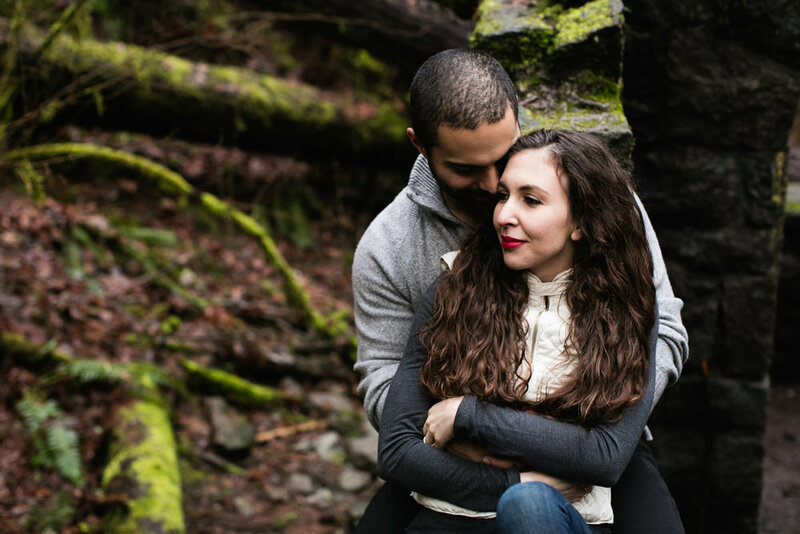 Can't wait to photograph these lovebirds again at their wedding in a couple weeks! 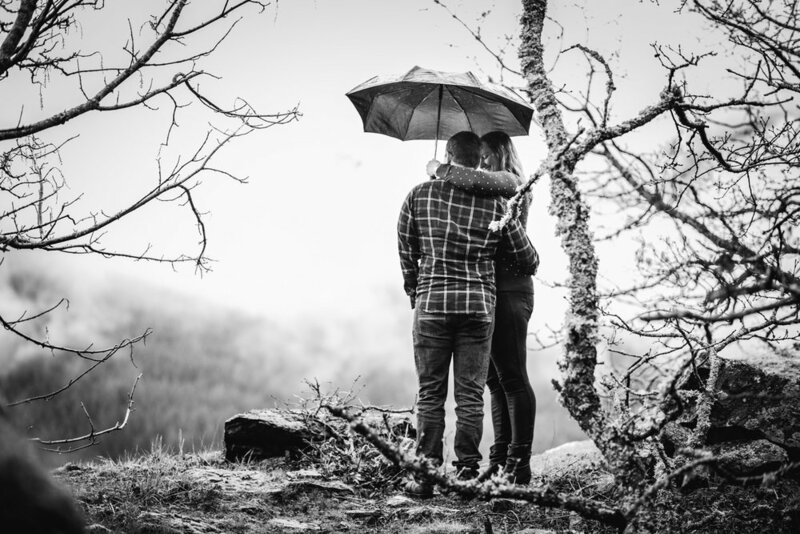 Our plans were set, weather be damned. 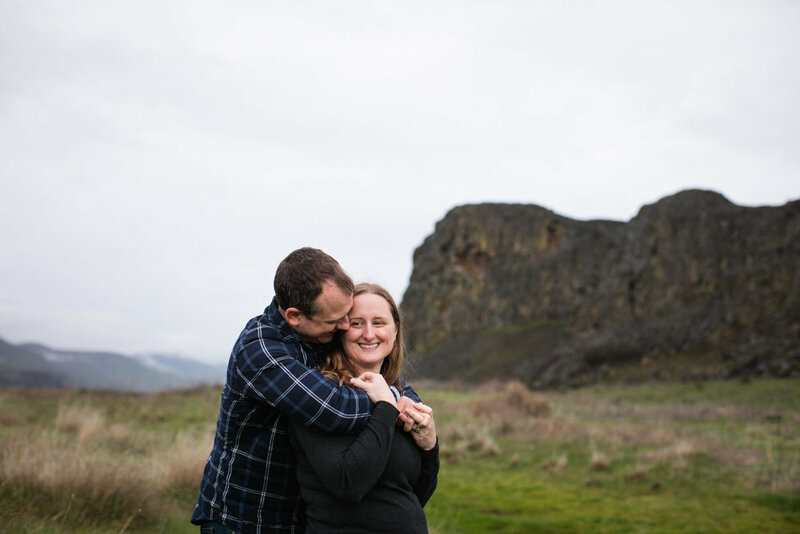 Caitlin, Jon and I set out to explore the Washington side of the Columbia River Gorge, come wind, rain, or whatever else the Northwest decided to throw at us. 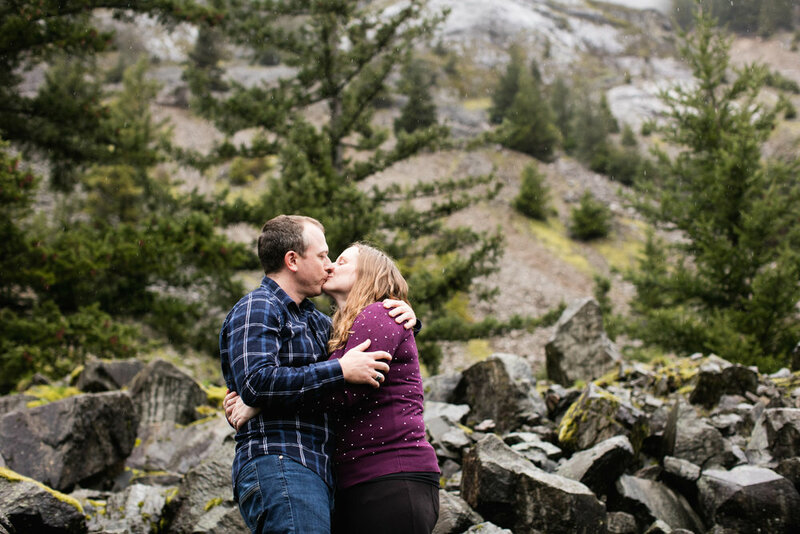 These two kept their spirits up, and followed patiently as I scrambled over rocks, over train tracks, and up mountains. 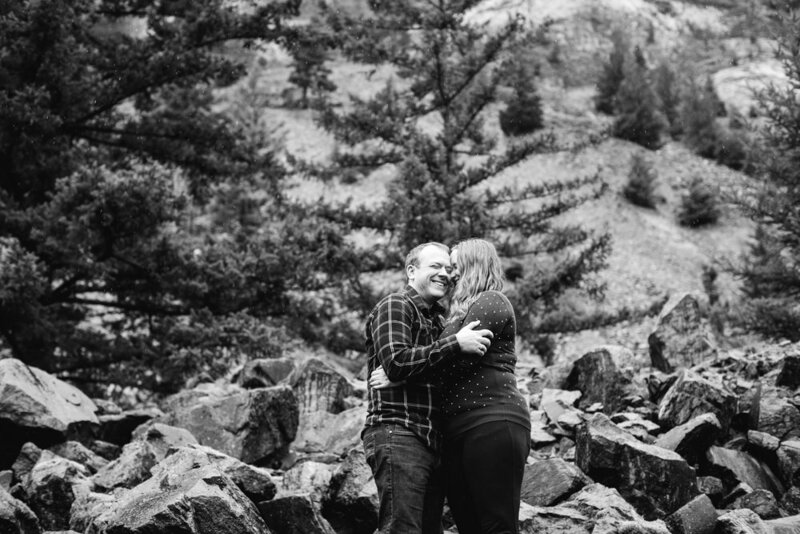 Also, nose-crinkling laughs for the win. 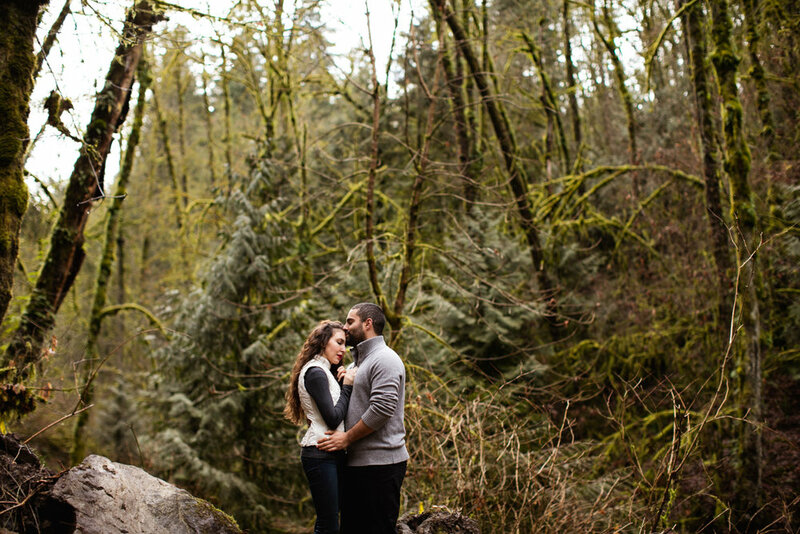 Stephanie + Mike and I spent a magical evening wandering around in Forest Park. 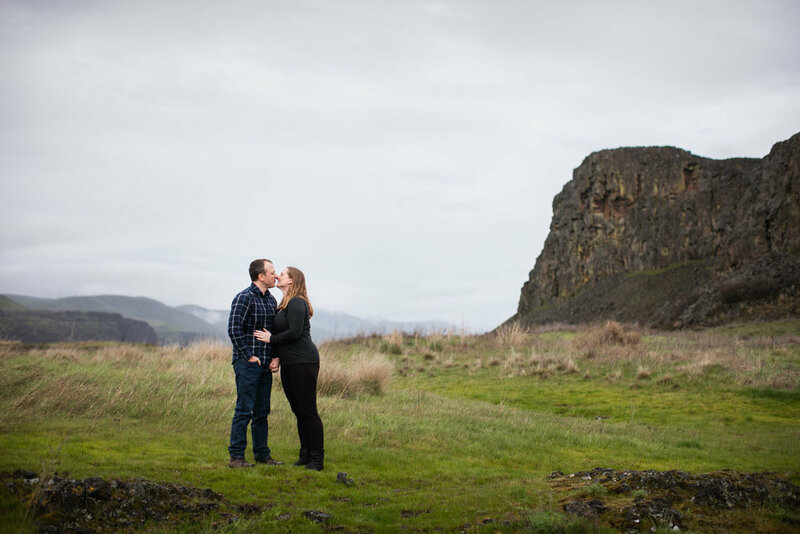 Who knew that such an incredible piece of land existed right in the heart of Portland? 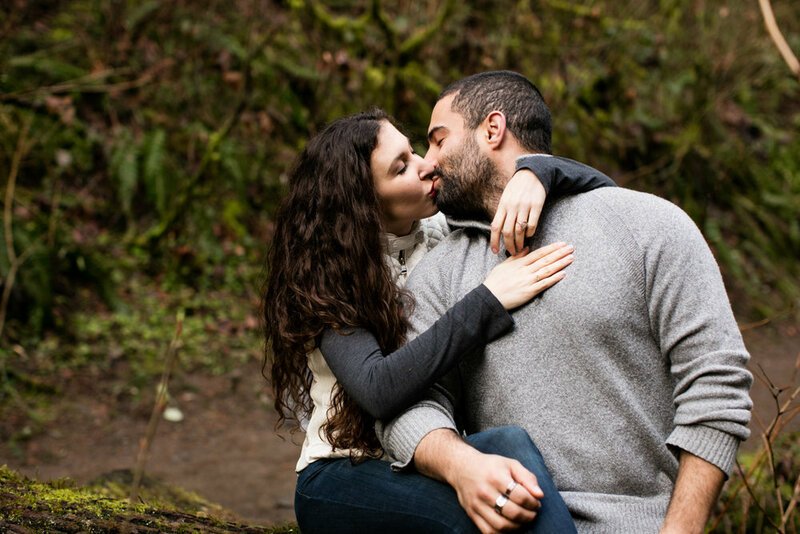 Well, a lot of people, but I'm new here so bear with me as I have giddy meltdowns over how gorgeous this city is. 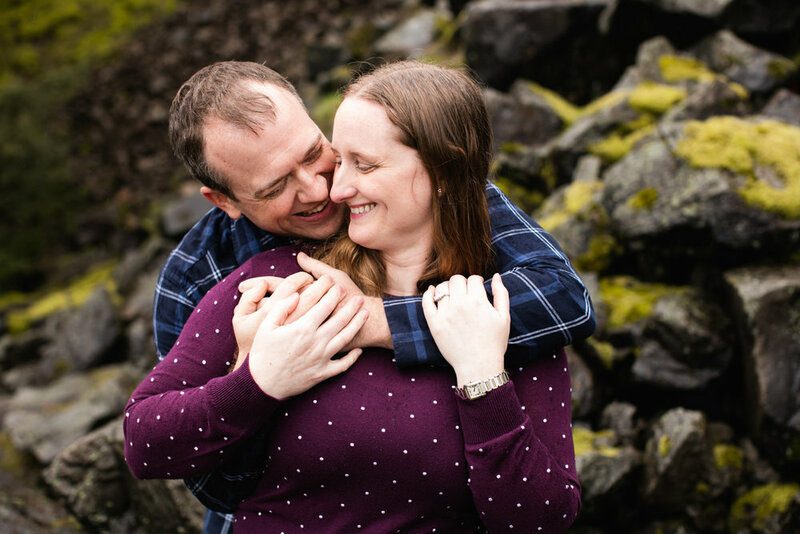 A million congratulations to you, Stephanie + Mike, on your engagement and very soon, your wedding.